Of the 30,000 people in the US who suffer from cystic fibrosis, nearly half are children. Although the disease is incurable, regular breathing exercises through a nebulizer — which distributes a misted medicine through the patients airway — can increase life expectancy dramatically. Unfortunately, getting a young sufferer to stay still for 30 minutes every day, breathing slowing and deeply, is not an easy task. However, a new gamifying device called the Jordi-Stick — developed by Dieter Kirsch, whose toddler suffers from the disease — could help other parents ensure their children partake in the vital exercises. 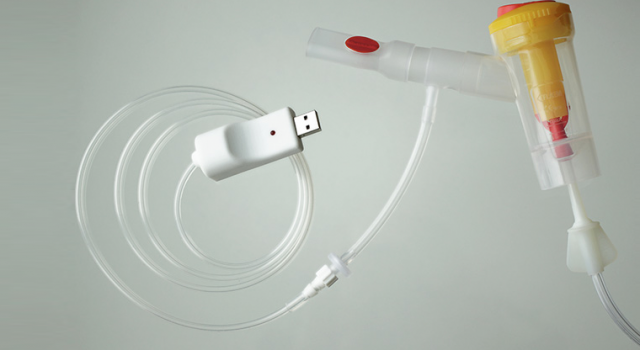 The Jordi-Stick connects the patient’s nebulizer to a video game, enabling them to control their gaming activity with their breathing. 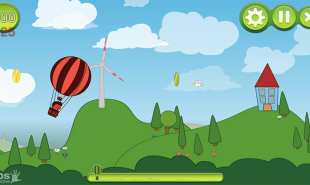 One level sees the patient moving a hot air balloon with their breathing, helping it to avoid obstacles, while another has them controlling an astronaut in outer space. To begin, the system must be attached to the patient’s existing equipment. A pressure sensor is placed in the air chamber that monitors inhalation and exhalation. This then connects to a computer via USB, translating the child’s breathing rate into in-game movement. The better the child performs their respiratory therapies, the better they do in the game. Breath and pressure targets can even be adjusted to match the patient’s prescription — as recommended by their doctor — so the therapy can be completely personalized. Are there other medical conditions which could make use of the gamified breathing device?